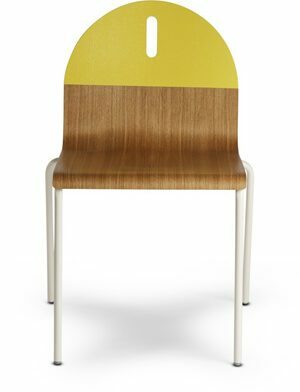 Stackable chair with quilted upholstered seat and backrest and solid beech wood frame. Low back version. Also available without quilting - please contact us to order.